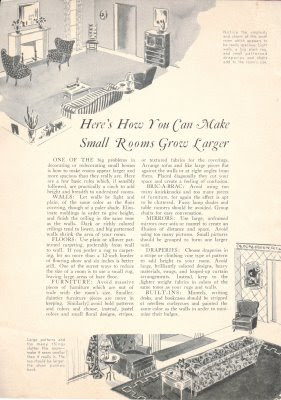 Tips for design & decorating a small space to make more room and make it look larger -- from Modern Woman Magazine, Volume 9, Number 8, 1941. 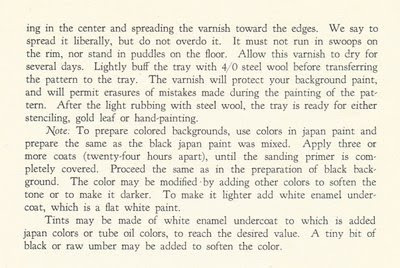 Enamel cleaning tip from Good Ideas: An Interesting Collection Made By Eddy's "that good bread in the bright gingham wrapper." 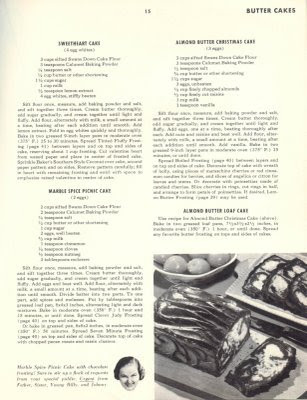 Recipes for baking the Sweetheart Cake, the Marble Spice Picnic Cake, and the Almond Butter Christmas Cake (with the alternative option for the Almond Butter Loaf Cake) from Kate Smith's Favorite Recipes, 1939. 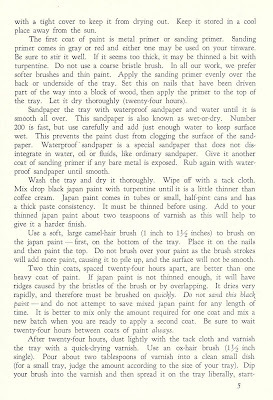 Tips on how to washing satins & silks so that they do not yellow from Modern Woman Magazine, Volume 9, Number 8, 1941. 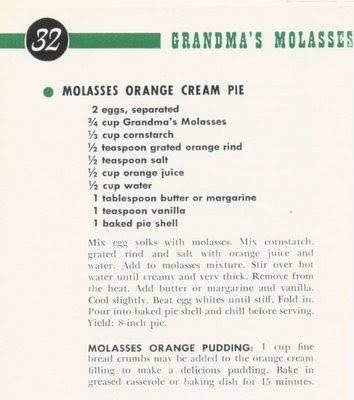 As this vintage recipe booklet says, molasses is a great source of iron. 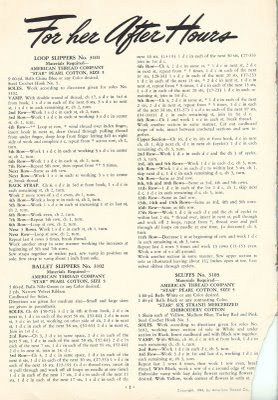 These unusual recipes come from 101 Recipes, Grandma's Old Fashioned Molasses, 1944 American Molasses Company. 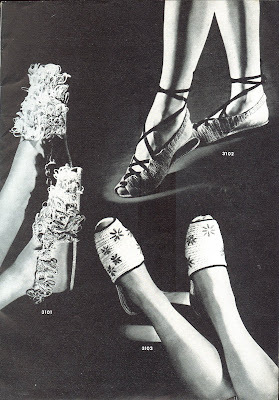 Debutante Clothing shares interiors based on Cecil Beaton's 1950s fashion sketches. 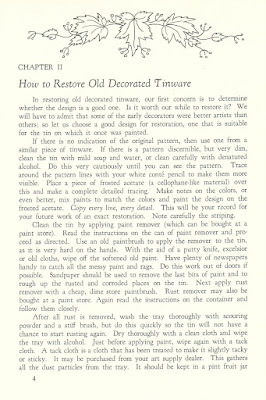 The Vintage Traveler introduces her article on vintage golf clothing. 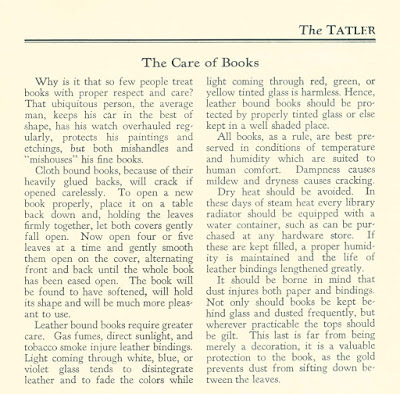 The Care of Books, an article from a 1930 issue of The Tatler, begins with this lament that's still applicable today: "Why is it that so few people treat books with the proper respect and care? That ubiquitous person, the average man, keeps his car in the best of shape, has his watch overhauled regularly, protects his paintings and etchings, but both mishandles and "mishouses" his fine books."